A private mining syndicate is reportedly headed by Hugh Morgan, a mining industry veteran. Is said to have discovered nickel deposit in a town in the north which said to be over a hundred of kilometers from the country’s capital. Dangoma is a small farming community North-West state of Kaduna. 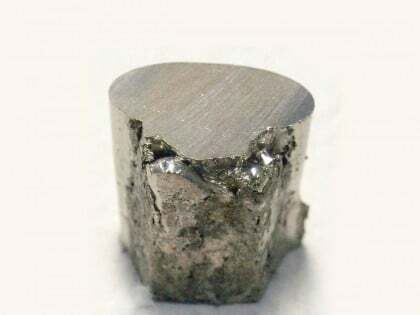 Report monitored from Australian national news daily, The Australian, the nickel balls, rumoured to grade better than 90 per cent nickel and thought to be a world first given their widespread distribution, offer the potential for early cash flow. Morgan reportedly said it was for the Nigerian government to make an announcement. A formal announcement is likely to come in few days to come as minister for Solid Minerals, Kayode Fayemi will be among the speakers at a three-day Africa Down Under mining conference at Perth’s Pan Pacific Hotel, Australia, in September. Mr. Fayemi is to speak first on Wednesday, September 7, while Mr Morgan will follow along with consulting geologist Louisa Lawrance. Nickel is said oxidizes slowly at room temperature and is considered corrosion resistant. Historically, nickel has been used for plating iron and brass, coating chemistry equipment, and manufacturing certain alloys that retain a high silvery polish, such as German silver.